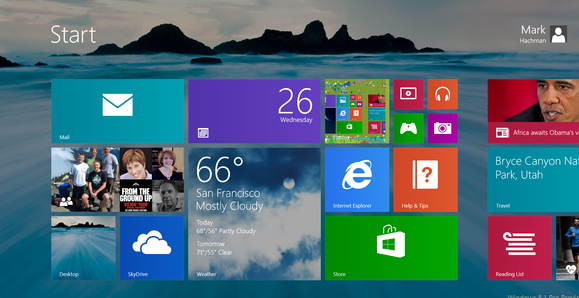 With Internet Explorer 11, Microsoft isn't abandoning older versions of Windows just yet. The company has confirmed to Engadget that it will bring Internet Explorer 11 to Windows 7 at some point. IE11 is available now as part of the Windows 8.1 preview, but it's unclear when the Windows 7 version will launch. The official launch of Internet Explorer 10 on Windows 7 lagged about four months behind Windows 8's final release. Granted, there's not a whole lot of overt changes for desktop users to look forward to in Internet Explorer 11. The update will mainly bring under-the-hood improvements to speed and battery life, along with support for WebGL 3D graphics rendering and MPEG Dash hardware acceleration for video streaming. Internet Explorer 11 is included as part of the Windows 8.1 update. As with IE10, most of the work has gone into the modern-style browser, which includes significant changes such as side-by-side windowing, an option to permanently show the address bar and open tabs, tab sync across Windows 8 devices, and the ability to reopen closed tabs. It also allows websites to have their own animated Live Tiles, and offers some tweaks and enhancements for touch screens. Certain features that might work nicely on the desktop—such as tab sync across devices and the ability to add pages to the new Reading List app—appear to be modern-style only. Still, Microsoft doesn't believe in killing off the desktop version of IE entirely. Dean Hachamovich, corporate vice president in charge of Internet Explorer, said at Microsoft's Build conference that users will still want to be in the desktop for some activities, and that the new IE engine does “all this wicked-fast, cool stuff.” It's nice to know that Windows 7 users will be able to take advantage eventually.